Neither of us slept particularly well in Dieppe. So many thoughts running through our heads about the end of our trip, returning to England and a building excitement about seeing friends and family again. 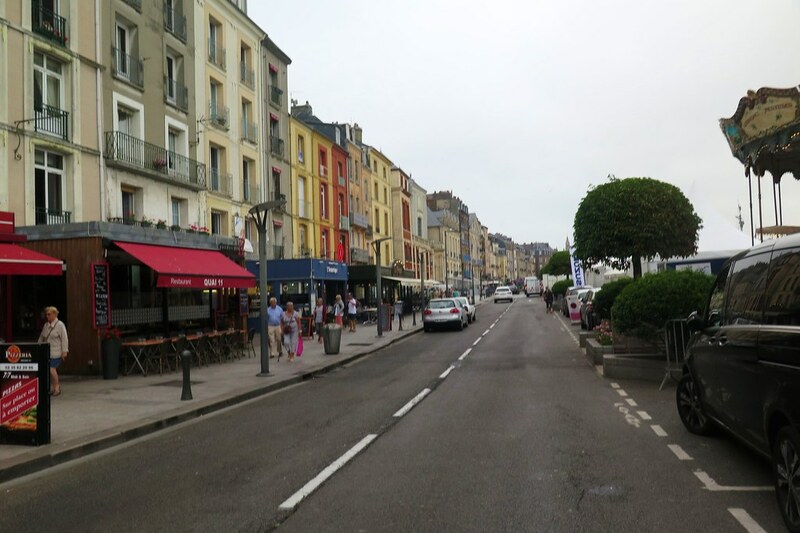 We’d had a great evening and a good dinner in a restaurant by the harbour, making the most of our last meal in France. The ferry was at 11:00 o’clock the next morning, we were awake with plenty of time, unfortunately with grey skies outside the window. First job was a run down to the boulangerie for fresh croissants for brekkie, before packing up to leave. 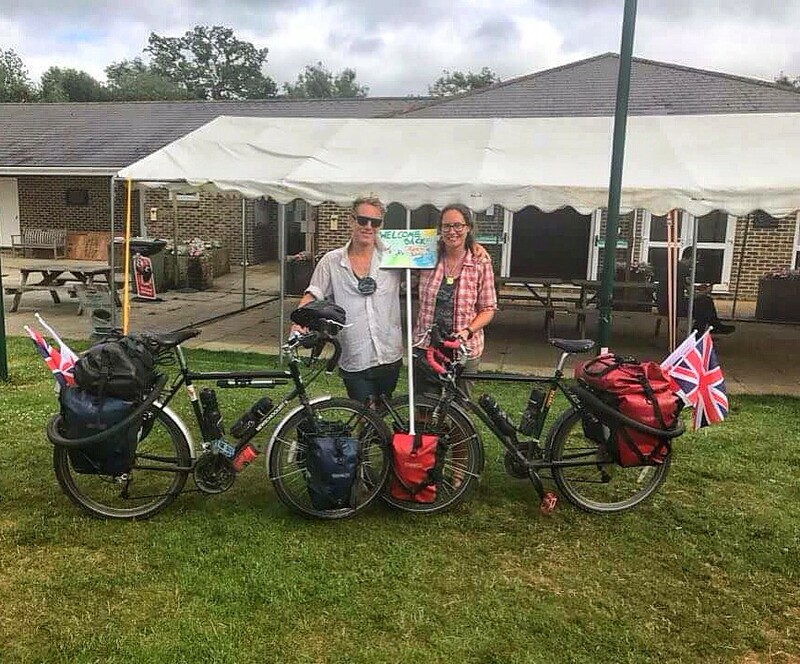 Our panniers were light as we’d chucked out a load of stuff – cooking oil, our dirty travel towels, holey socks and lots of other random bits and pieces that we didn’t need and weren’t nostalgic about. We did replace that weight on the way to the ferry with a couple of bottles of French wine and some saucisson to take home with us. 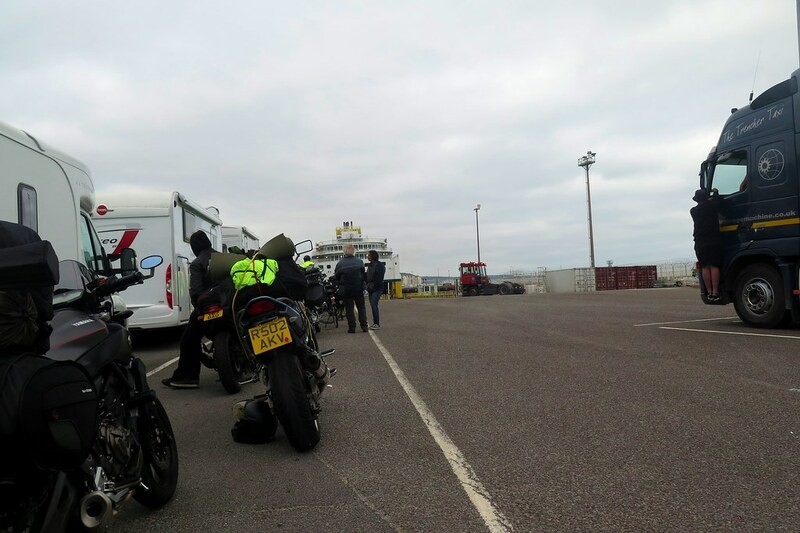 We crossed the bridge and rode around the harbour to get to the ferry port, and were soon boarding the boat which was to take us over to Newhaven. The crossing took four hours. We tried our best to tune out from the conversations around us, Brits talking about the weather, traffic, politics – the side of the UK we haven’t missed. 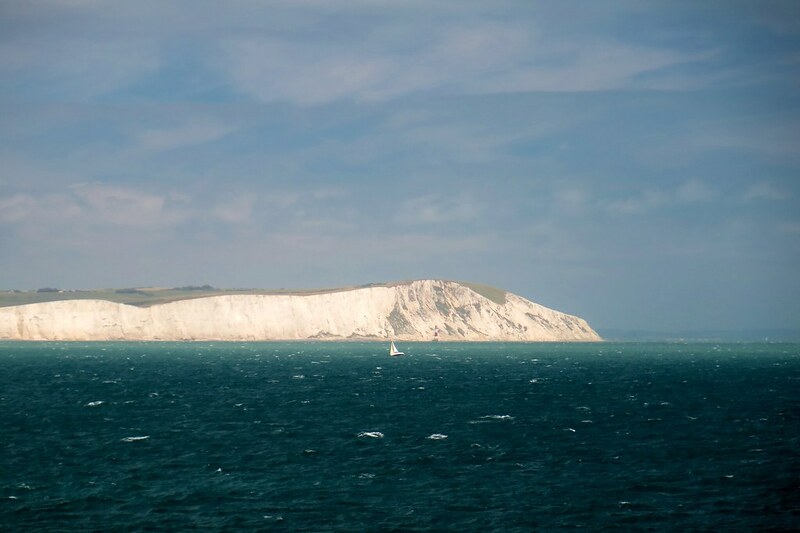 Once we were nearer Newhaven, we caught sight of a part of the UK which we are pleased to come back to – the Sussex coast. The clouds were clearing and the white cliffs of Beachy Head and Seven Sisters looked beautiful in the sunshine. I could almost taste the first pint of Harvey’s. 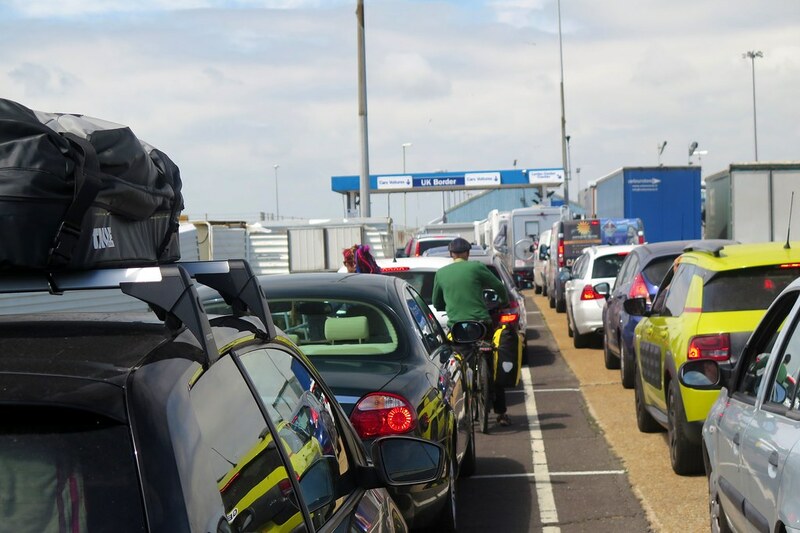 We docked and waited behind all the cars to roll off the ferry, onto English soil. One of those moments we thought would feel more significant, but in reality kind of gets lost with the other details of negotiating the lanes of traffic and getting our passports ready to be checked. The passport officer commented on all our stamps and visas so we said we’d been away for quite a while. 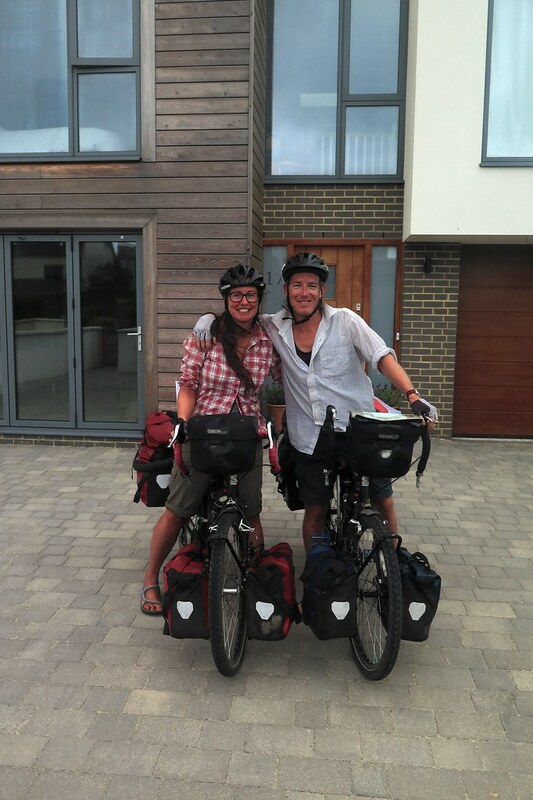 She gave us a friendly congratulations and welcome home, which put a smile on our faces as we cycled into country number 20. 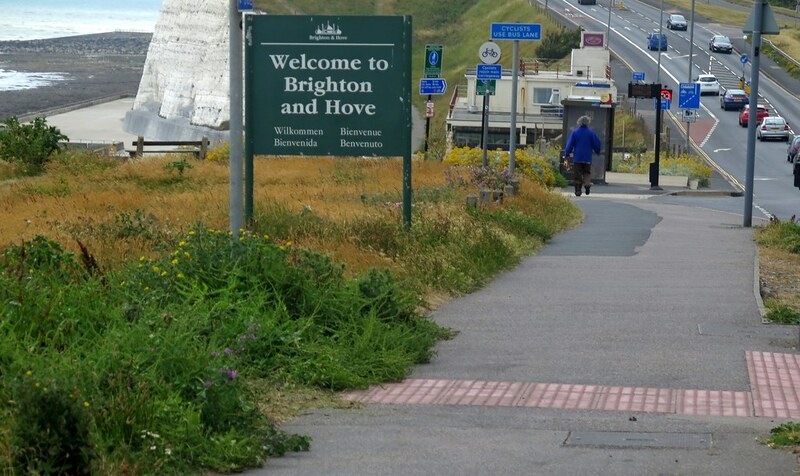 From Newhaven, we turned left, west along the coast towards Brighton. Familiar territory, but different on a bike. 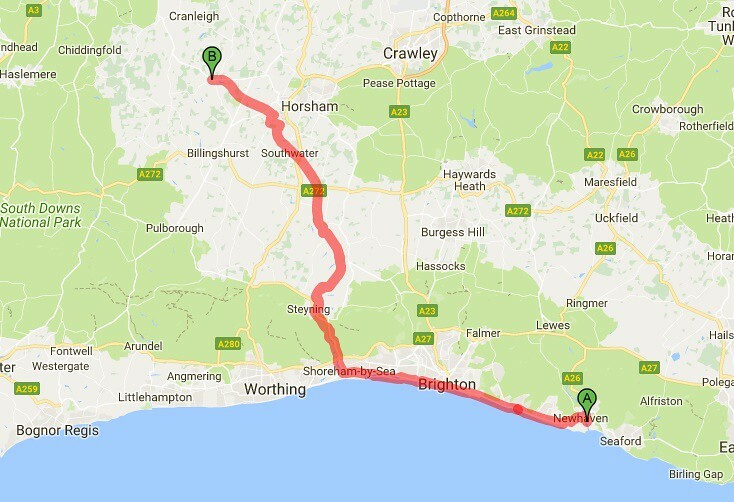 The first few kilometres were uphill, on to the clifftops on the A259 coast road. The roads round here are busy, and really quite narrow for the amount of traffic. 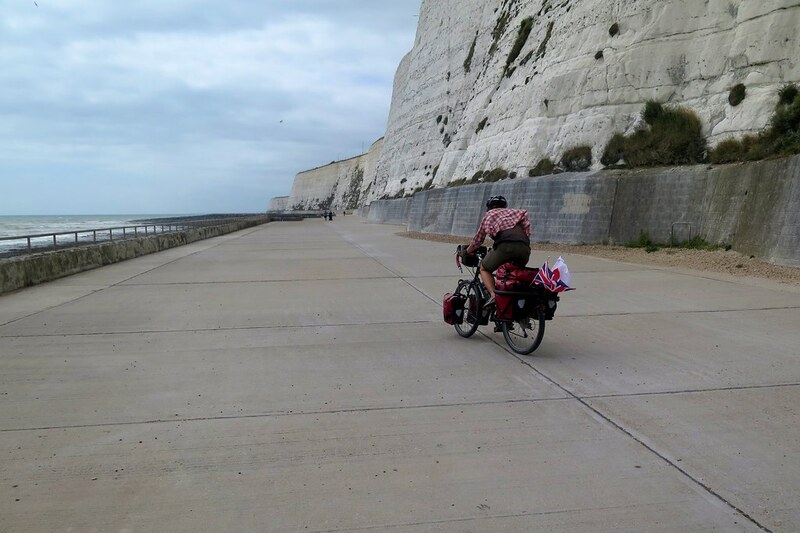 We were focusing hard on the road and on the vehicles passing close to us, so it was all a bit of a blur until we reached the start of the undercliff cycle path. 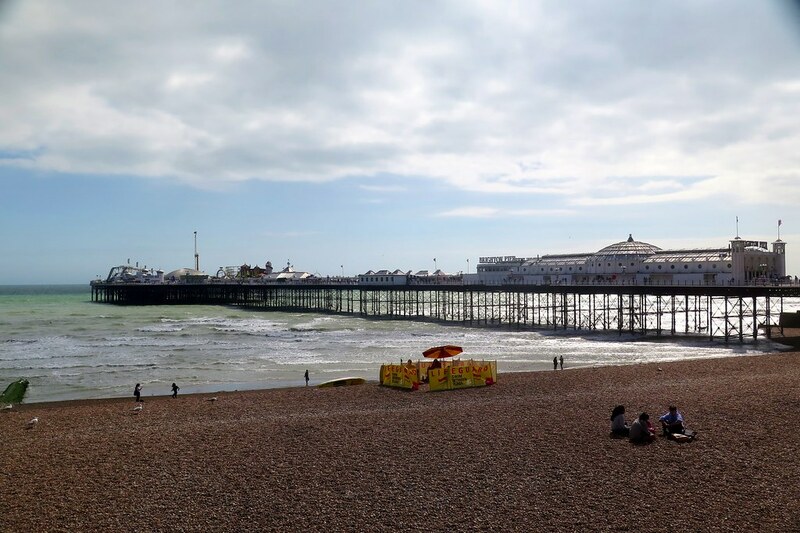 Brighton pier came in to view, and beyond that the new i360 tower which is new to us. We also noticed the large offshore windfarm, which hadn’t been built when we left this area. 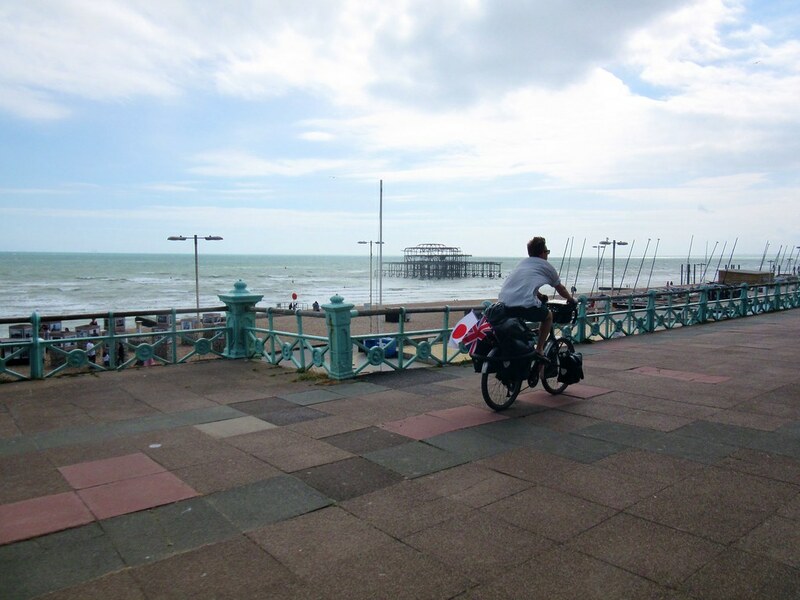 It should’ve been plain sailing from here, a short ride to Shoreham, but the wind had other ideas. As we pushed along at what felt like a crawl, I shouted to Clare that this was probably the strongest headwind we’d faced for the whole trip. She agreed. We passed the marina, the nudist beach, then Concorde 2 on Madiera Drive (we only used to frequent the last of those) and soon were at the pier. It was starting to feel real now, but very surreal at the same time. We were back, we’d reached England. Home, I suppose. Had it changed? Had we changed? Almost certainly. 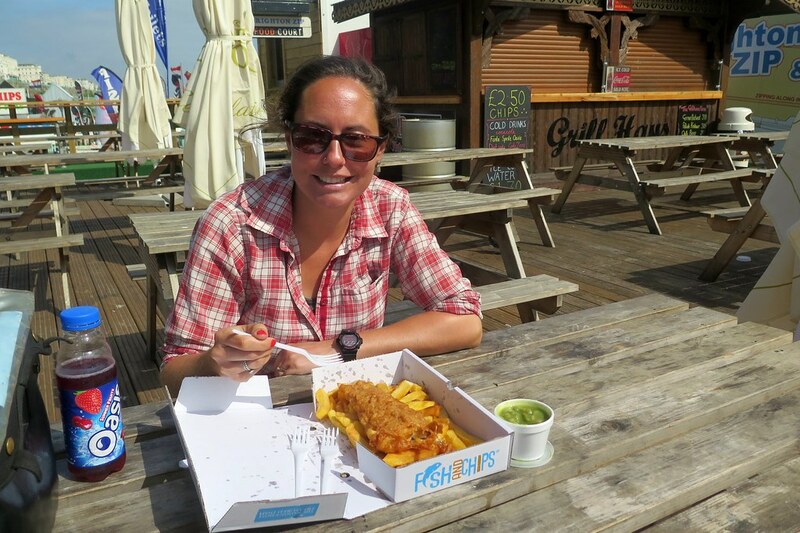 Deep questions, but instead of getting too heavy, we ate some fish and chips in the sun and enjoyed the moment. Then, it was day number 622. The last time we’d be loading the bikes, restarting the speedo and doing our customary fist bump to start the day. 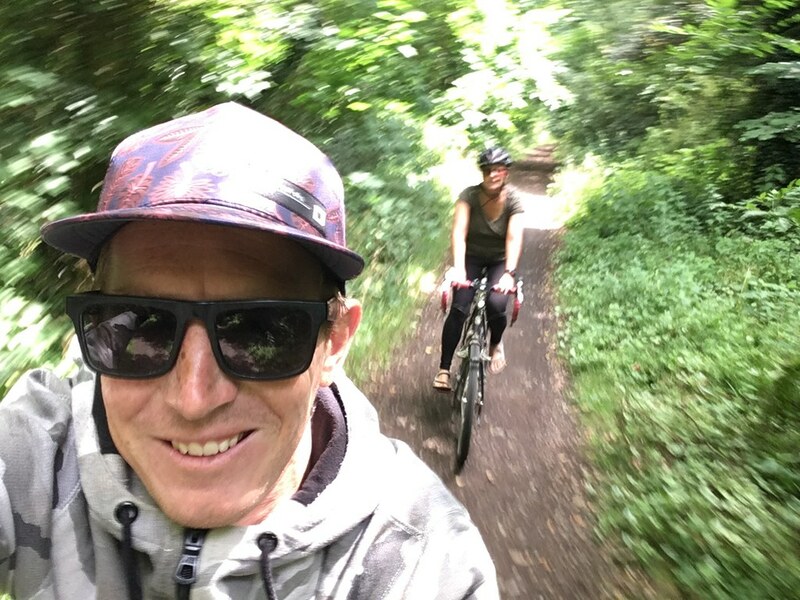 Suzy and Dino rode with us for the first few kilometres, before the far more important business of the Lions – NZ rugby game kicked off (Dino’s a Kiwi). Our first stop was at a carpark just outside Shoreham where we met Denise, Sue, Linda and Tess, friends from Clare’s running club in Worthing. Also joining the peloton was my uncle Chris. They’d all travelled to meet us and to ride together to Rudgwick, the village where my parents live. We were late meeting them, and with all the chatting and catching up, we were even later setting off again. 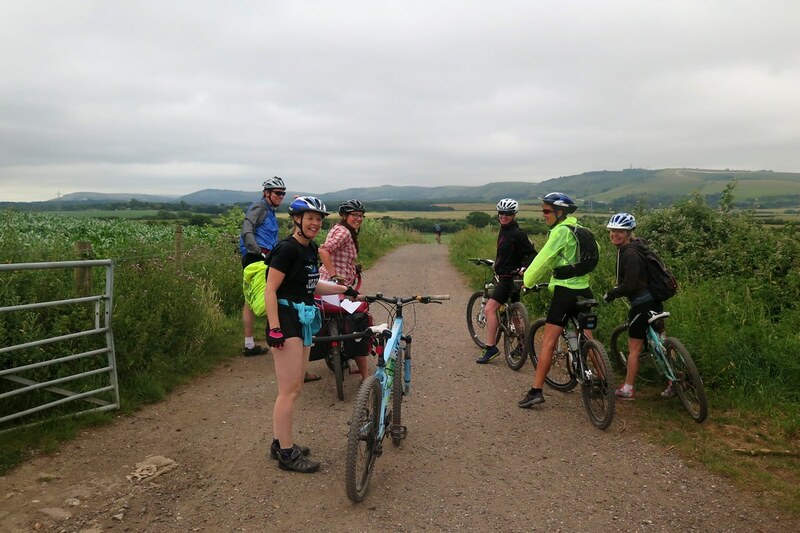 We took the Downs Link cycle path up the River Adur through the rolling countryside of the South Downs (now a national park). Being off the road and with a group, we kind of lost track of where we were. It was nice to be talking with the group, it took our minds away from the emotions that were definitely building as we got closer and closer to the finish line. Appropriately for a British summer’s day, we had rain showers as we rode, but we didn’t let it get to us. We set off with rain on our first day, so we didn’t mind getting a bit wet on our last day. 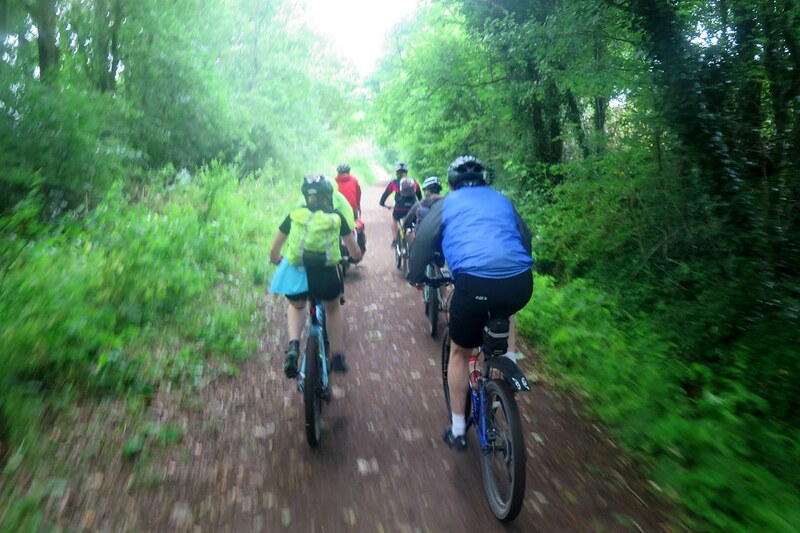 The path joined an old railway line once we were closer to Horsham, guaranteeing a nice flat ride. At Southwater a skiing friend of mine, James, joined us on a borrowed mountain bike. 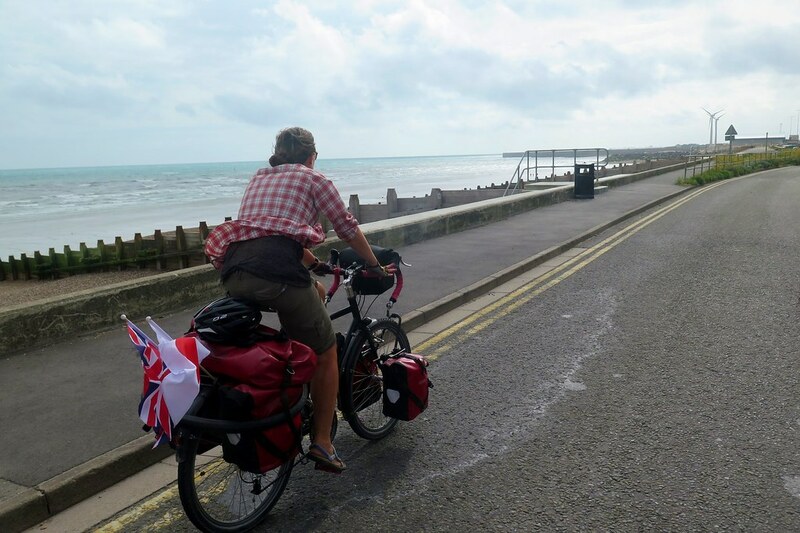 He didn’t feel up for riding the whole way from Shoreham, despite being the youngest of the group by some way! We were already running a bit late, but we needed to top up our energy levels so a stop at a cafe (pub) for a coffee (pint) put us further behind schedule. We knew we had people waiting for us to arrive, so we were soon back on the bikes to get this thing done. Watching the last kilomemetres tick away, it started to really hit me. I couldn’t really say what the feelings were, joy, sadness, pride, relief or a strange mixture of those and many more. Just before we turned off for the Rudgwick sports club where my parents had arranged a welcome party, Clare and I pulled up and let the others go ahead. We (maybe just I) needed a moment together alone, for a hug and to release some of the emotions that had been building. Most of all we were so happy to have had this incredible time together and proud to have pulled it off when, at times, it seemed like such a pipedream. It’s a cliché, but the rest of the day was a total blur. We rounded the corner to hear a cheer from the other side of the cricket pitch. We followed the driveway, lined with balloons, to the crowd of people waiting for us. Too many to name, but so many of our friends and famiy had come out to meet us. Banners, party poppers, high fives and hugs, all quite overwhelming. Thank you to everyone who was there, and thank you for the messages from those who weren’t. Writing this two weeks later, it’s a strange time. We’re slowly settling back into life off the bikes, but still very much living in limbo, travelling round to visit people and living as guests at my parents house for the time being. A more traditional lifestyle will no doubt kick in once we start work and move back into our house in Worthing. We’ve been out for a few bike rides, just to keep the legs moving and to make sure our trusty steeds don’t get too lonely, locked up in the garage. I guess that’s it for the journal of our ride, then. We’ll post a few final summaries and reviews in the coming weeks, as well as hopefully another video, so stay tuned! Thank you for reading, and for all the support. 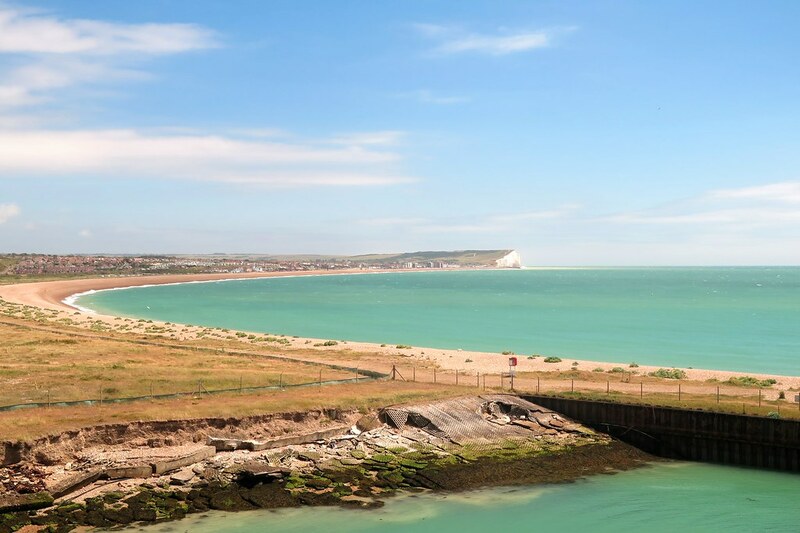 As ever, I’ll finish with our route – from Newhaven ferry port, up to the finish line at Rudgwick. So well done you two,very emotional for us reading your last blog and trying to imagine what it must have been like for you both. Much love and all the best for the future maybe we will meet you sometime soon. Thanks so much for following Annie! Thanks very much Clare & Andy, and for reading ever since you were on your Europe trip. I look forward to seeing what you’re planning next. And do please get in touch if you’re ever on the Sussex coast. We just found your blog tonight.What an amazing trip! Thank you for sharing. We are planning a four week cyclotour trip from Ho Chi Minh City to Battambang from November to December, so through a good ol’ Google keyword search we found you guys. My husband, Eric, has a done a long cyclotour in Spain and Portugal in 2016, I haven’t done a major cyclotour, but this our first cyclotour in Asia. We are in the research stage of things. If we have any questions about riding around in Cambodia, may we contact you? If you two ever decide to come to Edmonton, Alberta Canada, we’d love to meet you! We can take you around our riding grounds. Hi Amy & Eric! Thanks for reading. I can connect the Crazyguy forum post and your comment on here now! I hope your planning for the SE Asia trip is going well. It’ll be a blast, I’m sure. 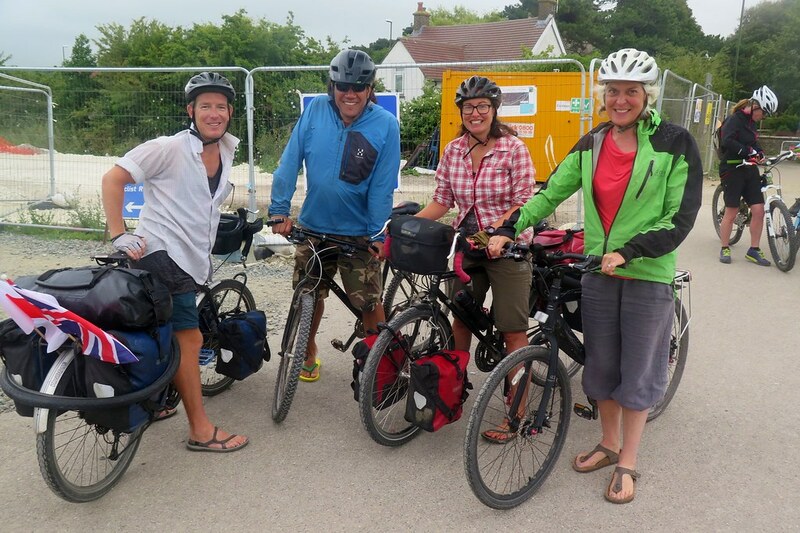 Please do drop me a line if you’d like any info on any of the areas we cycled through. Enjoy! I stumbled to your blog by Chance, but you really got my captivated, so I read you whole journey, post by post for the last hours. I am not even into biking,and was really surprised that this trip is not that unusual as you mentioned many other cylclers going all the way from East Asia to Europe or vice versa- I had heard about the hippie trail, must have been popular in the seventies (or was it the sixties), but those were hiking/driving by car. And with the sad political state in Afghanistan, Pakistan and Myanmar I thought the time for trips like these was over.But of course I missed that one could go around North of the Himalaya through China. Thanks very much indeed for your message and for reading our blog from start to finish! 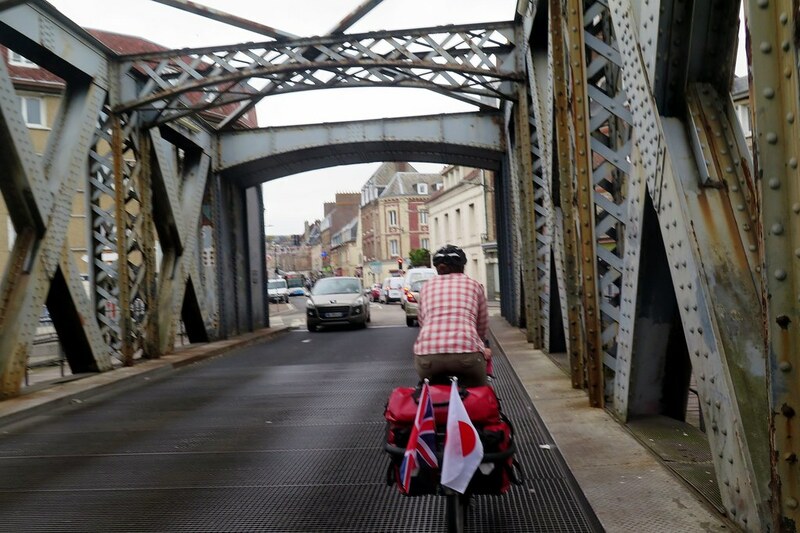 It’s really amazing how many people are travelling by bike across continents in recent years. 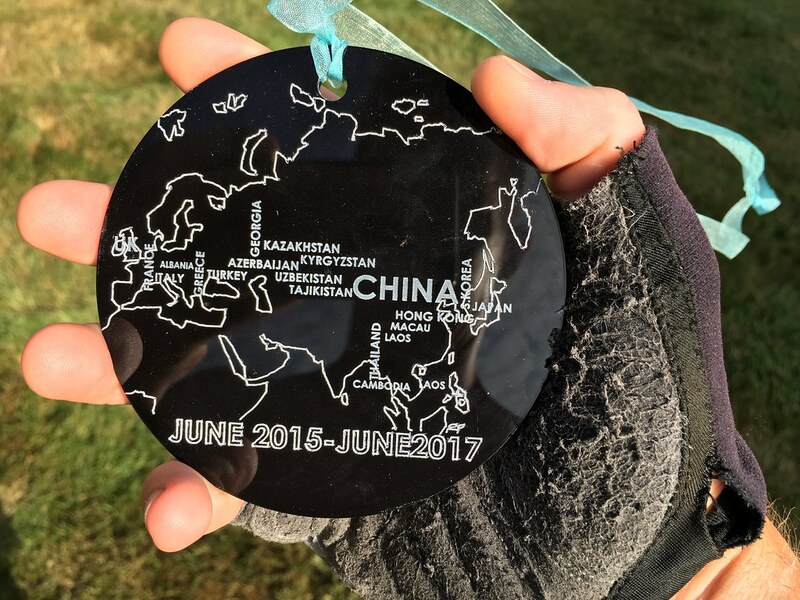 I’m really pleased that we were able to do it and had the time to do it at a leisurely pace, enjoying every country we passed through. I’d definitely recommend travel in Central Asia, by car, bike, on foot or any way you can!